Entries for Airlie Beach Race Week Festival of Sailing close at 2400hrs on Thursday August 3, so Whitsunday Sailing Club organisers urge prospective competitors to go online and enter now rather than miss out. Among those yachties who have already planned their northern circuit, entries have come from the likes of Tasmania’s Alive, Phil Turner’s Reichel/Pugh 66; Peter Hickson’s M3, a TP52 from Western Australia, David Currie’s Farr 40 Ponyo (Vic) and newcomer Steve Capell with his Swan 65 Eve (NSW). This group is contesting the IRC Passage Series, while the likes of 2013 Rolex Sydney Hobart winner, Darryl Hodgkinson, has chartered the TP52 Celestial (NSW) to race in the Performance Racing division as he awaits the arrival of his latest Victoire. Dr Darryl’ won Cruising Division 1 last year, but has upped the ante this time to race against an eclectic mix of Beneteaus, Pogos, sports boats and Reichel/Pughs. Fellow CYCA boat, the MKL49 Never a Dull Moment, will also be on this start line. She will not be so easily recognisable, Colin and Denise Wilson recently adding a dodger and other comforts for their northern break. 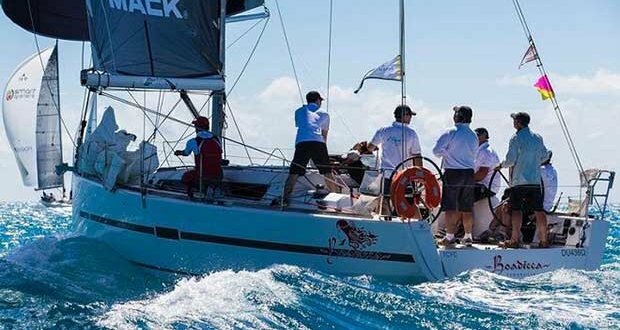 The Dufour 40, Boaddicca, will also be on that start line, Townsville Yacht Club’s Mike Steel putting in some extra practice ahead of SeaLink Magnetic Island Race Week, of which he is an entrant and the Event Chairman. 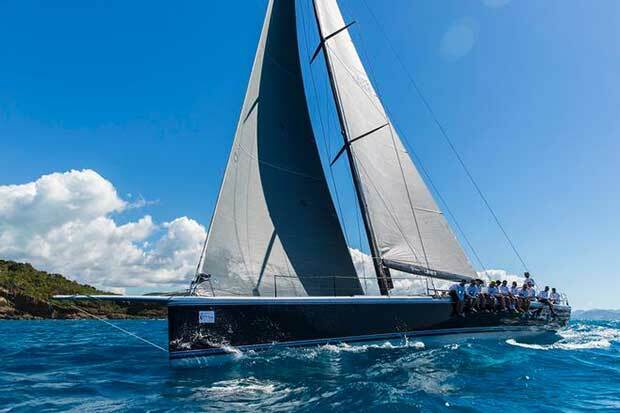 Eight Trailable yachts are back following the success of the Trailable Yacht Nationals at Airlie Beach Race Week last year. Derek Foley returns with Wicked and other old faces are All Guns Blazin (Tony Briggs); Checkmate (Don Bowden); Kameruka (Bob Beale); Masquerade (Tom Vujasinovic); Tap the Goose (Colin Pollock) and Unbealeievable (Colin Clark). Neil Hamilton and his BSC Sailing School (NSW) is the newcomer whose crew will pit themselves against the rest, while last year’s winner, Goggles and co on Mister Magoo (Qld), have elected to sail in the Performance Racing division this time. Meanwhile, in the Sports Boats, Andrew York is trailering his latest rocket ship, the REO 7.2 REO Speedwagon and is hoping he is ‘on song’ against the finely tuned Depthcharge Ethel (Rob Le Man/Andrew Clauson); Returned Graham Sherring) and Vivace (Gary Smith/Jeremy Rae) among others. Other divisions include Cruising, Non-Spinnaker Cruising and Multihull Racing and Passage. Those already signed up will be in line to win a variety of fabulous prizes: Twenty 16 communication electronics equipment; cruises and reef passes from Cruise Whitsundays; Hog’s Steakhouse meal vouchers; Panorama Tours from Air Whitsunday; vouchers from Grotty Yachty and vouchers from Whitsunday Industrial & Marine – all to be won in the Coconut Lotto and MC competitions. Daily divisional prizes include a bottle of Captain Morgan rum plus a Pantaenius hat for the winners; while placegetter prizes include packs of Great Northern CUB in a Pantaenius cooler bag and Pantaenius Insurance. The total prize pool is valued at just over $28,000. Don’t miss out – enter now at: abrw.com.au/sailing/entries.